Comes with custom leather IWB holster and magazine pouch. 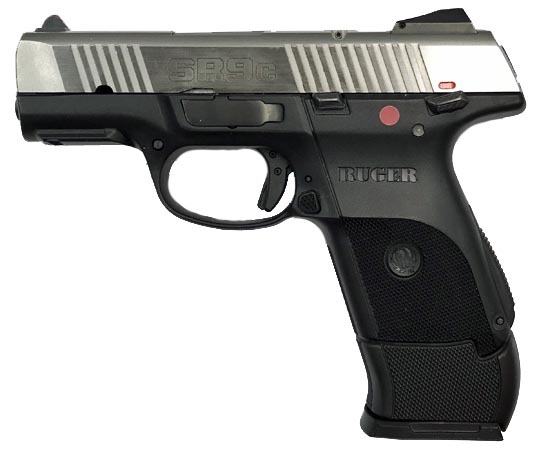 Features a raked forward front sight for easy removal from the holster. Rear sight is windage and elevation adjustable and front sight is windage adjustable. Reversible backstrap is adjustable for a flat or arched fit. Ambidextrous thumb safety and D-shaped ambidextrous magazine release are easy to reach and actuate. Built-in accessory mounting rail. Retraction grooves on the front of the slide provide a sure grip. Comes with two magazines.